For the purposes of this page, the term “site” should include this PlayingCardCollector.net site, its “PLAYING CARDS + ART = COLLECTING” blog and the affiliated sites (reserve & supportive ones). Images, videos and/or articles (posts) created by this site can’t be used without permission from the site (its author & owner). Respect others’ rights & the rules. Read carefully about this below. I am a playing card collector (nickname – “Collector”). This site came into being February 3, 2013 (all earlier posts are converted from my Tumblr blog). I am its author, manager and owner. 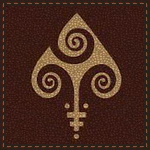 The blog is the main part of the PlayingCardCollector.net. It is dedicated to notes (sometimes articles) about playing cards and art for collectors and all interested (artists, producers, curious persons, etc.). Its name “PLAYING CARDS + ART = COLLECTING” reflects its specificity. I write about playing card art (design), art inspired by playing cards and of course about playing cards. Also I share interesting information with my readers about art requests regarding different playing card projects and about unique/rare decks of playing cards. I try to find the most uncommon artworks on playing cards having traditional Spades (♠), Hearts (♥), Clubs (♣) and Diamonds (♦) suits and to write about them. But I like classic decks as well. And in case of amazing artworks there are all chances to deviate from the canons. I try to write about different playing card designs and to be objective. But as any normal person who enjoys his hobby, in the end of the day, I understand that at best I am “subjectively” objective. The site has also a lot of pages dedicated to different aspects of playing card collecting (read below). They are full of interesting information, and supplement the “PLAYING CARDS + ART = COLLECTING” blog. Welcome on the pages of my site (and on other social media resources). It’ll be interesting, I promise. My Twitter repeats some posts from this blog + I tweet sometimes about playing cards omitted here. My Facebook page repeats this blog + I share and comment information from other people on Facebook. My Google+ page repeats this blog + I share and comment information from other people on Google+. My Pinterest page has several boards with some pictures of playing cards and playing card art (design) featured on this blog + possible re-pins of people’s pins. My Tumblr blog repeats this blog at this moment. Afghanistan, Albania, Algeria, Andorra, Angola, Antigua and Barbuda, Argentina, Armenia, Aruba, Australia, Austria, Azerbaijan, Bahamas, Bahrain, Bangladesh, Barbados, Belarus, Belgium, Belize, Bermuda, Bhutan, Bolivia, Bosnia and Herzegovina, Botswana, Brazil, British Virgin Islands, Brunei Darussalam, Bulgaria, Burkina Faso, Cambodia, Cameroon, Canada, Cayman Islands, Chile, China, Colombia, Cook Islands, Costa Rica, Côte d’Ivoire, Croatia, Cuba, Cyprus, Czech Republic, Denmark, Dominica, Democratic Republic of the Congo, Dominican Republic, Ecuador, Egypt, El Salvador, Estonia, Ethiopia, Faroe Islands, Federal States of Micronesia, Fiji, Finland, France, French Guiana, French Polynesia, Georgia, Germany, Ghana, Gibraltar, Greece, Greenland, Grenada, Guadeloupe, Guam, Guatemala, Guernsey, Guyana, Haiti, Honduras, Hong Kong, Hungary, Iceland, India, Indonesia, Iran, Iraq, Ireland, Isle of Man, Israel, Italy, Jamaica, Japan, Jersey, Jordan, Kazakhstan, Kenya, Kuwait, Kyrgyzstan, Lao People’s Democratic Republic, Latvia, Lebanon, Liberia, Libya, Lithuania, Luxembourg, Macao, Macedonia, Madagascar, Malawi, Malaysia, Maldives, Malta, Martinique, Mauritania, Mauritius, Mexico, Moldova, Monaco, Mongolia, Montenegro, Morocco, Mozambique, Myanmar, Namibia, Nepal, Netherlands, New Caledonia, New Zealand, Nicaragua, Nigeria, Norway, Oman, Pakistan, Palau, Panama, Papua New Guinea, Paraguay, Peru, Philippines, Poland, Portugal, Puerto Rico, Qatar, Republic of Korea, Réunion, Romania, Russia, Saint Lucia, Saint Vincent and the Grenadines, Saudi Arabia, Senegal, Serbia, Singapore, Slovakia, Slovenia, South Africa, Spain, Sri Lanka, State of Palestine, Sudan, Suriname, Sweden, Switzerland, Syrian Arab Republic, Taiwan, Thailand, Trinidad and Tobago, Tunisia, Turkey, Uganda, Ukraine, United Arab Emirates, United Kingdom, United Republic of Tanzania, United States, Uruguay, Uzbekistan, Venezuela, Viet Nam, Virgin Islands, Yemen, Zambia and Zimbabwe. You can follow this blog using RSS subscription (read more about RSS). RSS subscription will also ensure for you the most accurate updates of information on this blog. And, as was said, any serious changes of other pages of this site should be named in appropriate posts on the blog. But your regular examination of such pages will guarantee your knowledge about any minor changes on them. *** You can see the special banner regarding playing card art request on the picture. It is connected with a special page dedicated to playing card art requests of different companies, organizations and independent projects. Artists and designers, pay your attention. You can follow this blog via your e-mail. Send your e-mail through the form incorporated into the sidebar of PlayingCardCollector.net site (see the picture). Such subscription will ensure for you the most accurate updates of information on the “PLAYING CARDS + ART = COLLECTING” blog. Any serious changes of other pages of PlayingCardCollector.net site, as a rule, are named in appropriate posts on the blog. But you can regularly check the pages by yourself with the aim to know about any minor changes. Remember, this site respects your privacy. You can bookmark this site and check it on the daily basis. Each browser has its own menu with appropriate functionality. RSS and e-mail subscriptions ensure the most accurate updates of information on the blog. Respect copyright of the site and its owner. This site and content created by the site are copyright of the site’s owner – © PlayingCardCollector.net 2013 – 2015. All rights reserved. This includes appropriate information and/or content stored on third-party (web-) sites, including blog platforms, webmail service providers and social networking sites, such as Facebook, Pinterest, Google, Twitter, Tumblr, etc. The site is a copyright owner of all articles (posts) on it as of literary works, knowledge compilations, etc. The site is a copyright owner of all images (including, design elements and its combinations) and videos created by the site. Any photo or scan with the word “playingcardcollector” or “PlayingCardCollector” (any link or text combination with them) on it is intellectual property of the site with no exceptions. The site is a copyright owner of the whole site as a database or any other intellectual property object. In case of separate images from third parties (it’s indicated on images as inscriptions or links; and/or pointed in descriptions to such images, or expressed otherwise), quoting or reposts, used on this site, they can’t be used only without permission from appropriate copyright owners. The site’s usage of such intellectual property of third parties, including the site’s creation of images and videos featuring objects of third parties, doesn’t mean any site’s acquisition of appropriate rights on such property/objects of third parties. Images, videos and/or articles (posts) created by this site can’t be used without permission from the site. Some copyright notes or restrictions can be stated on other pages of this site or in posts (articles) of the blog. They are an integral part of this “Copyright & Restrictions” section. Any commercial advertising in comments to this site is strongly prohibited. No rude words, outrages and incitement of hatred in comments to this site. Keep the site’s rules while commenting, and try to be informative. Note, you shouldn’t click on links intended for specific age groups, if you haven’t reached the respective age. This list of restrictions isn’t an exhaustive one. The site believes in your good nature which will help you to take right decisions in unforeseen situations concerned with your usage of the site (or ask its owners/managers about them). This site may change appropriate restrictions from time to time by updating this page. You should check pages (appropriate posts and articles) of this site from time to time to ensure that you are familiar with any changes. You can always find the structure of this site on the “USEFUL INFORMATION” page (click to find out more). 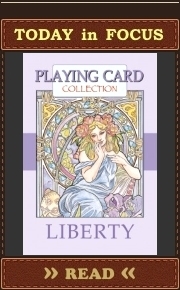 It is created to help readers to navigate through the PlayingCardCollector.net site. You can reach the blog’s stream or any main page and sub-page of the site through it. A lot of site’s pages and sub-pages have also banners (click on them) returning a reader to the structure from such pages (see the end of this page). Use the search bar on the sidebar of this site and appropriate key words to find what you want. The results will cover all pages of PlayingCardCollector.net site, including all posts and articles of the “PLAYING CARDS + ART = COLLECTING” blog. Right under the search bar you can see the site’s logo and its current statistics of visits (this particular picture is a joke). This statistics is formed by WordPress, so I don’t have any chance to intervene in the math of the widget (service). It can be only affected by your curiosity, my dear reader. Who is comfortable with short menus on sidebars can use appropriate one featuring banners (see the picture) linked with the main pages of PlayingCardCollector.net site. Site’s Structure – leads to the page revealing the full structure of PlayingCardCollector.net site (see Item 1). PlayingCardCollector.net site has a special menu to help its visitors to navigate their way around its ocean of pages and streams of information (see the picture above). It reveals some main pages of this site. A coloured background indicates that you are on the respective page of PlayingCardCollector.net site (currently on the “ABOUT ME” page). Some items of the menu can have their own hierarchical menus (see the picture below). You can click on the main menu items of PlayingCardCollector.net site to reach appropriate pages. Also you can move a computer’s cursor over them and see their drop down menus (1 and 4). Then you can move a computer’s cursor over respective drop down menus to be able to see drop down sub-menus of their items (2). A white background of any main menu item indicates that your computer’s cursor is over it or its drop down menu is revealed (1, 2, 3, 4). Names of items from drop down menus change their colour from grey to black when their sub-menus are opened (2). Some pages of PlayingCardCollector.net site can be reached only through its main structure or from its separate subject pages. So, pay your attention to all pages of the site. The system of special categories should help readers to find interesting, useful and relevant information on the “PLAYING CARDS + ART = COLLECTING” blog. Each post (article) on this blog has one or several categories. A reader can choose all categories without exception in the special drop down list on the sidebar of this site (see the picture). Also links to some main blog’s categories are pointed in the end of almost all posts (articles) on the blog to make it more comfortable for readers to look over them. Such links are represented with banners named in accordance with respective categories. Click on them to reach appropriate topical streams of information on PlayingCardCollector.net site. The collection of these categories isn’t exhaustive. So, now you can check whether you have missed something on the “PLAYING CARDS + ART = COLLECTING” blog. Don’t be shy and try all categories. They can be really useful for a subject research. Use “Calendar” widget if you remember the day when you forgot to read something on the “PLAYING CARDS + ART = COLLECTING” blog. Note, changes of other pages of PlayingCardCollector.net site aren’t reflected through the Calendar. Click on any date of a month to be able to reach all posts made that day on the “PLAYING CARDS + ART = COLLECTING” blog. The bottom line of this Calendar widget has abbreviations of previous and next months (if they are available). Click on them to navigate through different months. You can also use the “Main Categories” tab on the sidebar of this site to choose the most popular categories of the “PLAYING CARDS + ART = COLLECTING” blog (read Item 5). This tab has more categories than the Sidebar Menu mentioned in Item 3 but fewer ones than the special tab mentioned in Item 5. 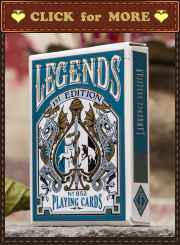 All printed decks mentioned on this blog are included in the generalized “Deck of Playing Cards” category regardless of their other possible categories (for example, “USPCC“, “Fournier“, “Cartamundi“, “Piatnik“, etc.). You can choose this category from the appropriate drop down list on the sidebar (Item 5) or by clicking its name in “Main Categories” widget (see the picture). All posts consecrated to playing card art/design (unproduced as a playing card deck) on this blog are included in the generalized “Playing Card Art” category regardless of their other possible categories (for example, “DeviantART“, “Bēhance“, “Shutterstock“, etc.). You can choose this category from the appropriate drop down list on the sidebar (Item 5) or by clicking its name in “Main Categories” widget (see the picture). Also remember that “Playing Cards and Art” category is dedicated to different goods and art objects connected with playing cards and wasn’t included in both above mentioned categories. The information contained on this site is for general information purposes only. The information is provided by it and while the site endeavor to keep the information up to date and correct, this site makes no representations or warranties of any kind, express or implied, about the completeness, accuracy, reliability, suitability or availability with respect to this site or the information, products, services, or related graphics (images) contained on this site for any purpose. Any reliance you place on such information is therefore strictly at your own risk. This site may also include links to other websites, social media and various on-line resources, created and managed by third parties. Such links are provided for your convenience to help you with further information. Their presence on this site do not necessarily signify that this site concur with opinions (ideas, views, appeals, propositions, etc.) expressed within these linked sites or resources, and vice versa. The site takes no responsibility for, and will not be liable for, it being temporarily unavailable due to technical or other issues. Any your propositions, opinions, requests and messages aren’t binding upon this site unless otherwise expressly specified on this site. If you believe that any information this site is holding on you is incorrect or incomplete, please contact us as soon as possible at the above address. We will make efforts to correct any information found to be incorrect as soon as possible. If you think that the site infringes your intellectual property rights or other rights, please contact the site. Remember, the site doesn’t have any intention to violate any of your rights or rights of third parties. Neither the site nor any third parties provide any warranty or guarantee as to the accuracy, timeliness, performance, completeness or suitability of the information and materials found or offered on it for any particular purpose. You acknowledge that such information and materials may contain inaccuracies or errors and the site expressly exclude liability for any such inaccuracies or errors. Your use of any information or materials on this site is entirely at your own risk, for which it shall not be liable. It shall be your own responsibility to ensure that any products, services or information available through this site meet your specific requirements. You have to provide the site with your contact e-mail to be able to comment something on this site. The site will not sell, distribute or lease this personal information to third parties unless it has your permission, or are required by law to do so, or such permission is expressed by you in your comments / messages to the site. The site may use this personal information to send you an answer on your question, requested information, questions, requests, warnings or propositions from this site. Remember, this site doesn’t spam. This site reserves the right to edit your comments, delete them or do not approve them. You are responsible for your comments made on this site. Be civilized, honest, decent, tolerant, civilized and friendly in your comments.